يشكل فندق Lakeside Motel بموقعه الممتاز في قلب مركز مدينة كوينزتاون نقطة انطلاق ممتازة لاستكشاف كوينز تاون. يمكن من هنا للضيوف الاستمتاع بسهولة الوصول إلى كل ما تقدمه هذه المدينة النابضة بالحياة. يضفي محيط الفندق اللطيف وقربه من كازينو لاسيترس وارف, البار الثلجي ماينس فايف, Creative Queenstown Art and Craft Market سحراً خاصاً على هذا الفندق. إن Lakeside Motel حريص على توفير الراحة للنزلاء، فلا يوفر الموظفون جهداً في تقديم أفضل الخدمات وضمان حسن الاستقبال. هذه بعض الخدمات الموجودة في هذا الفندق: تسجيل وصول/خروج سريع, تخزين الأمتعة, واي فاي في المناطق العامة, صف السيارات, غرفة عائلية. تتضمن كل غرف النزلاء وسائل الراحة والتسلية المصممة خصيصاً لضمان الراحة القصوى للضيوف. يقدم الفندق مجموعة واسعة من وسائل الراحة المتنوعة، كمثل: تأجير معدات التزلج, دروس في التزلج, التزلج على الجليد, حديقة. استمتع بخدمات لا يعلى عليها وعنوان ذو اعتبار في Lakeside Motel . I loved it. It's a wonderful and practical place with great view and excellent location! Busy town only one passageway to access. only 5 minutes walk for shopping centre, supermarket and casino. Next to lake view when U wake up in early morning, relaxing and watching a peace of mountains. The views from Lakeside Motel (from 1st floor) is beautiful. It faces directly Lake Wakatipu, very good view of sunrise and sunset. Cooking facilities and kitchen utensils are complete. 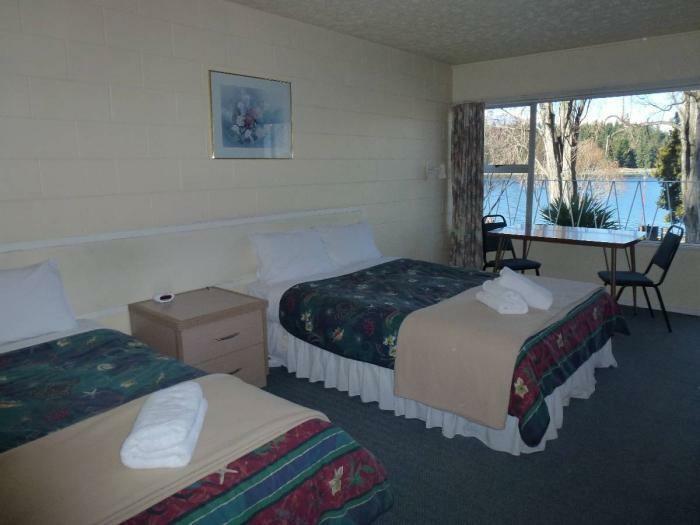 Nice simple motel and reasonable price. After reading some of the reviews for this property we were considering cancelling our booking. 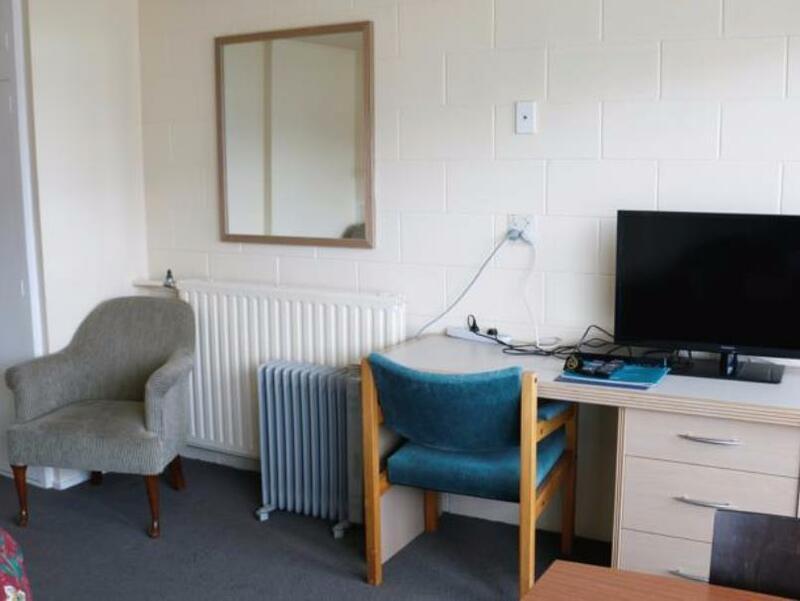 On arrival we were very surprised it is nothing flash but was every thing we needed comfortable seating great refurbished bathroom sufficient kitchenette new TV. For position and price we have not been able to find a better deal and this is our 6th visit to Queenstown. We loved our stay in the upstairs studio. Great having a kitchen. New bathroom. Very warm for an older building. Alot of road noise due to windows not soundproof, but expected with central location. Would gladly stay here again. 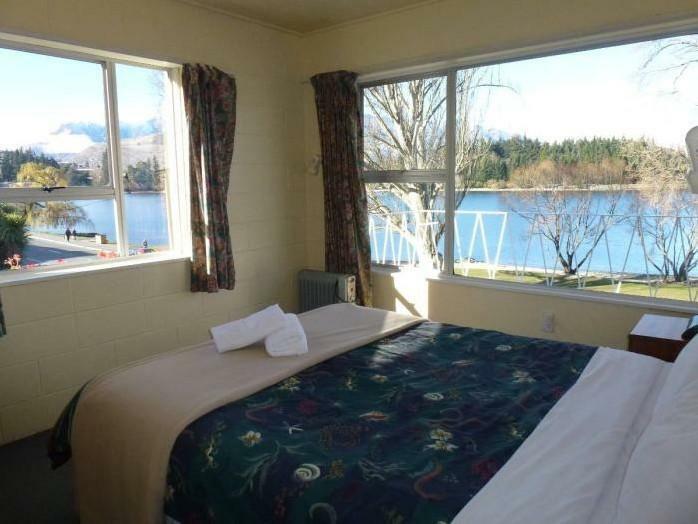 The motel is located right on the lakeside and a five minute walk from the centre of Queenstown. Direct views across the park and lake to the mountains. Staff were helpful when we were clueless about a couple of minor things (like finding and getting the wardrobe door open!) and there is a laundry room on site which is cheaper than the one in the town. Car parking is on site and is free which is great in a busy city like Queenstown. Great location and very good accommodation. This motel was everything that we wanted it to be. Very spacious, clean, presentable and very well equipped. Close to restaurants and shop. The Otago Peninsula isa beautiful area with lots of lovely paces to visit. Beautiful location with very close proximity to thr lake & city centre. All basic amenities provided. Only con was the constant noise from passing cars all thru the night. 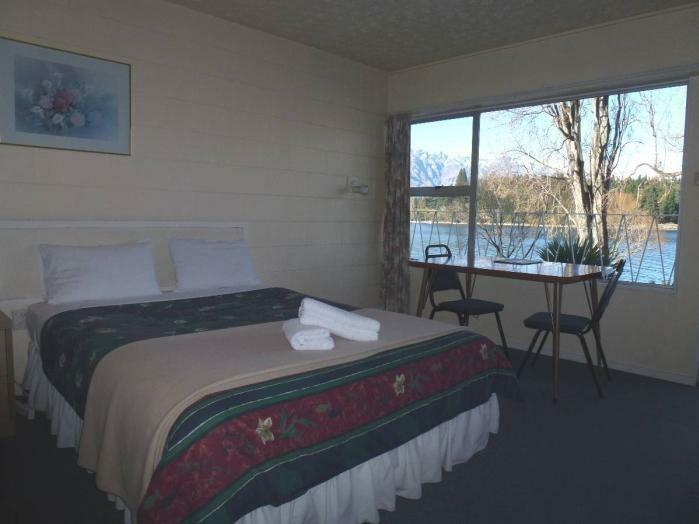 The location of this hotel is absolutely great facing lake wakatipu and only walking distance to city center. 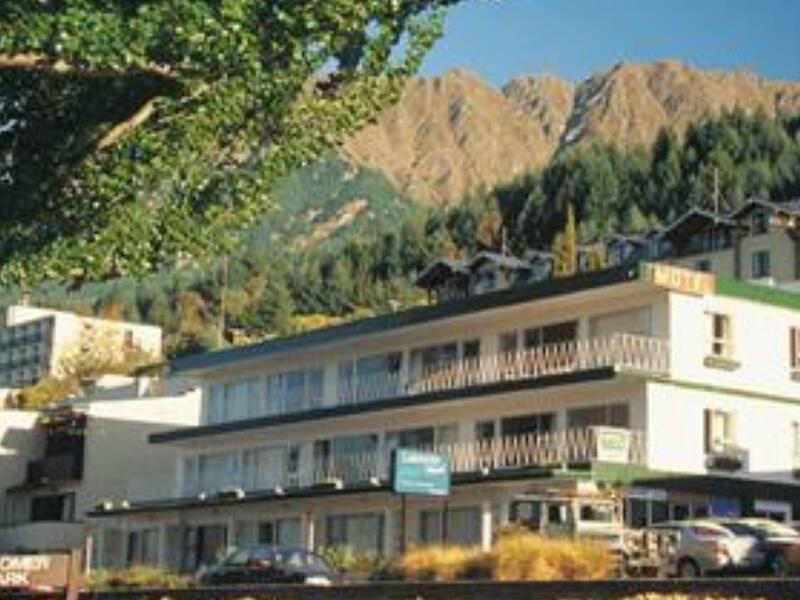 We stayed here because it was very cheap for Queenstown and in a great location. The views from our room out to the lake were amazing. It was so close to Queenstown central - 3 minute walk. Staff were lovely on check in. Rooms are very dated, although bathrooms look like they’ve been redone recently. There are frosted windows on the opposite side to the lake side of the room with no curtains - at night time light streams in these and lights up the room. We had to hang towels and clothes over these to sleep. The bed was dreadful. So hard that I kept waking up with pins and needles due to circulation issues I’ve never had before. The second night we laid a thick blanket under the sheets to improve the situation. Just ok to live. That's all.